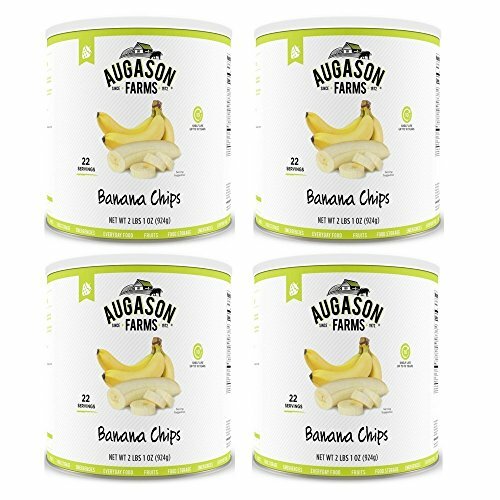 Augason Farms Banana Chips 2 lbs 1 oz No. 10 Can (4 Pack) by Augason Farms at Good Time Donuts. Hurry! Limited time offer. Offer valid only while supplies last. View More In Dried Banana Chips. If you have any questions about this product by Augason Farms, contact us by completing and submitting the form below. If you are looking for a specif part number, please include it with your message. 2 box of ALMOND CRUSH CHOCOLATE DIPPED DEIED BANANA 180G.